Come Join us for our Spring MEC event! Come learn from the experts at Cherry Creek Mortgage! Join us the first Wednesday of every month for a live-streamed, energy-filled session with Bev Kendall, Anthony James & Tim Yee! Stay in the know with important office, industry and legal updates. This event will be hosted and live-streamed to your RE/MAX Gold office. The event will be held at NSCAR (Fairfield). Registration is required: Register here. Join our Folsom office for their CMN fundraiser! If you would like to be a Vendor for this event, contact Kenzie Gargiulo at (916) 984-8778. All vendors must be local to Folsom. The event will be held at SAR (Sacramento). The event will be held at PCAR (Rocklin). Come hear what Office Manager, Rip Hovde has to say at the Friday Business Booster Meeting! The event will be held at RE/MAX Gold Daly City Office. 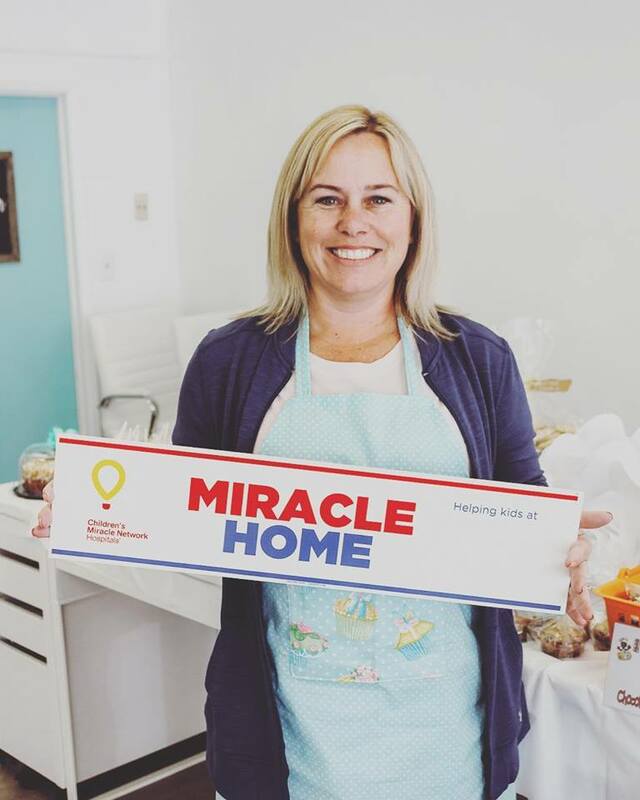 Join the Silva Team at their annual bake sale to raise funds for Children’s Miracle Network! The bake sale begins at their Downtown Lodi office at 11 am. The event will be held at Bitwise (700 Van Ness Ave., Fresno). Come hear what Manager Joe Houston has to share! The Lakeport office meeting is the 3rd Wednesday of every month. The event will be held at Odd Fellows in Davis. Please RSVP by contacting your Office Administrator. Join the Roseville office for a delicious Wine & Cheese Mixer at the office on April 8th! Join us for our bi-weekly office meetings in Daly City! Meetings are every other Wednesday at 10 am. Come hear what Manager Mike Reynolds has to share! Folsom office meetings are every 1st and 3rd Wednesday of the month at 10am. The Green Valley office meeting is every Monday at 10 am. Come Join us as we celebrate the hard work of our outstanding agents during 2018! There will be food, drinks and, of course, awards! Save the date for March 28th at 9am! We hope to see you there! For Celebration Details visit GoldCelebrations.com. Come hear what Jordan Tawlks has to share and learn how to compete and win against Zillow, OpenDoor, Redfin and Purple Brick. Come hear what Office Manager, Jordan Tawlks has to share! The Rocklin Office meetings are the 2nd and 4th Wednesday of each month at 10 am. Come hear what Manager Alex Mackey has to share! Come join your Natomas Office for a time of socializing and networking! Come hear what Manager Brian Groth has to share! Come learn important information about 1031 Exchange at this fun Lunch & Learn! Visit the SAR website for cost & details. IHOP’s Free Pancake Day is one of the most anticipated days of the year, but the long-time Children’s Miracle Network Hospitals partner has made it their mission in 2019 to Flip it Forward for Kids in more ways than one. In addition to the one day only Free Pancake Day on Tuesday, March 12 from 7 a.m. to 7 p.m. when guests can get a free short stack of buttermilk pancakes and in return make a donation to their local CMN Hospital or other charity partner to help kids overcome injuries and illness IHOP has also come up with additional options to give back to kids who need it. To help support and bring awareness to Children’s Hospitals Week March 18-22, guests can also make an in-restaurant cash contribution or on-check donation at any IHOP restaurant through March 31. Finally, IHOP has named six-year-old Brody Simoncini as its 2019 Kid Chef Champion and announced limited-time availability of his winning pancake on menus in restaurants nationwide! Guests can purchase Brody’s OREO® Oh My Goodness pancake until April 14. $1 from every pancake sold goes to the local Children’s Miracle Network Hospital or other participating charity partner. If you’re planning to attend Children’s Hospitals Week activities in Orlando, FL, you’ll also get the chance to meet Chef Brody and try his winning pancake during the Tuesday evening awards gala. All the money raised by IHOP for Children’s Miracle Network Hospitals stays local and goes directly to providing life-saving medical treatment and healthcare services, pediatric medical equipment and charitable care for children in need. In total, IHOP has raised more than $22 million for Children’s Miracle Network Hospitals. For information and Details click here.